James City County’s 11 golf courses, including the Kingsmill Champsionship LPGA Tour stop at Kingsmill, are gaining even more National recognition. Courses include Ford’s Colony Marsh Hawk Course, Ford’s Colony Blackheath Course, Ford’s Colony Blue Heron Course, Kingsmill River Course, Kingsmill Woods Course, Kingsmill Plantation Course, Kiskiack , Royal New Kent, Tradition Golf Club at Stonehouse, which was awarded 4 ½ stars by Golf Digest Magazine and Williamsburg National, voted one of the “top 10 places to play in Virginia” by Golf Digest. Club at Viniterra opened at the height of the recession, and was intended to be a high end private club and gated community. It hasn’t taken off and remains open for public play. It was designed by Rees Jones, and located 20 miles east of downtown Richmond in New Kent off I-64 at exit 211 . Upscale layout, although it’s not in pristine condition always, but generally the rates are very reasonable for the quality of the course. It was carved through the forest with good sized fairways and run-ups to most of the massive greens. Great variety of holes with some decent elevation change, wetlands and water, and plenty of sand. Traditions at Kiskiacks beautiful surroundings will allow you to unwind, the spectacular views will inspire you, and the challenging layout will awaken your spirit. Kiskiack Golf Club is set on land once occupied by the Chickiack, a group of Virginia Algonquian Indians, under the rule of the Great Chief Powhatan. Set along the ridge of a natural bluff, Kiskiack offers a day of golf for players of all levels. As our award winning architect John LaFoy said “after playing Kiskiack, 18 golfers may each have a different favorite hole.” Many of the picturesque holes demand accurate shot making from tee to green, while others are more forgiving – with ample landing areas and gentle sloping greens. Golf Digest’s “Places to Play” awarded Kiskiack four stars. 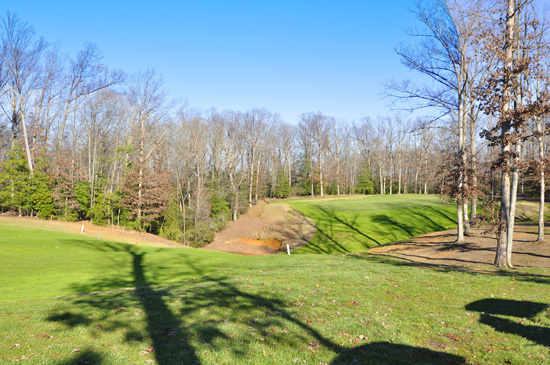 The front nine lets you relax as the course winds through mature hardwoods and over natural, rolling hills before a challenging uphill finish along one of the two lakes that come into play throughout the round. On the back nine, you are challenged by signature Hole 11. This par-­‐3 requires accuracy to negotiate a green surrounded by water on three sides and well protected by bunkers. Traditions at Royal New Kent -Located between Williamsburg and Richmond, Virginia, Royal New Kent is set upon the low hills between Diascund Creek and the Chickahominy River. In 1997, Royal New Kent opened to outstanding reviews and was named “Best New Upscale Public Course in the Nation” by GolfDigest and No. 23 on Golf Magazines’s Top 100 you can play. In 1999, Royal New Kent was named one of “America’s Top 100 Greatest Golf Courses” by Golf Digest. In 2001, Golf Digest ranked Royal New Kent among the top three courses in Virginia, and in 2002 Royal New Kent was awarded 4 1/2 star by Golf Digest. It was designed by Mike Strantz after the links courses of Ireland, and it’s a great rendition, and much less costly than making the trip across the pond! There’s a lot of the same design elements as you’d find on a traditional links course, open and windy, rolling and rugged terrain, and fairways tumbling and bordered by fall fescue grass. There’s target rocks to provide direction to blind fairways, with deep pot bunkers that usually require a blast back out to the fairway. There’s blind shots to the greens hidden behind grassy knolls, stacked rock walls but the fairways are wide and forgiving, although there’s 120 bunkers scattered in the fairways at some odd intervals and right around the greens. The greens are huge and fast, but do promote the run up shot which is so useful in the British Isle’s links courses. Play the course from the right set of tees and you’ll enjoy the game much more. Colonial Heritage Golf Club a quality layout at a reasonable rate, at least for the Williamsburg area. It’s on the north side of town, just west of Richmond Highway, off I-64 at Humelsine Parkway. The layout was designed by Arthur Hills, and is routed through an upscale residential community. It’s a parkland style of layout with tree lined fairways, a few holes with water, and a good amount of sand, playing to somewhat large and undulating and sloped greens, which are typically very quick. Tough layout from the tips, a 147 slope from 6,900 yards, the Silver tees at 6,000+ yards are still a good challenge at a 75.9 course rating and 136 slope. The Club at Brickshire is located midway between Williamsburg and Richmond in New Kent off I-64 at exit 214. It’s an Ault Clark/Curtis Strange design through a residential development that plays to 7,291 yards from the back tees. Good elevation change, parkland style course, usually in good shape, with a lot of variety in the holes. Mostly wide open off the tee, the main feature here are some replica holes from St. Andrews, Augusta National, Pinehurst #2, and Riviera CC. U. S. Open Champion Curtis Strange has created a unique golfing experience by replicating some of his favorite holes from around the world: St. Andrews, Augusta National, Pinehurst #2, and Riviera CC. You’ll never forget our 15th hole, a wickedly picturesque par 3 that is infamous in the area. Finish in style onour panoramic 18th hole, a dramatic par 5 that was named one of the best finishing holes in the mid-­‐ Atlantic. The Golf Club at Brickshire provides a fair test for golfers of all skill levels with five sets of tees. Yardages extend from 5,151 to a strenuous 7,291, putting every part of your game to the test. With uphill and downhill shots, uneven lies, wetlands, and water, no two holes are even remotely alike. Fairways are wide and generally forgiving. Several fairways have a decided tilt, so the black and white aiming posts should be well heeded. 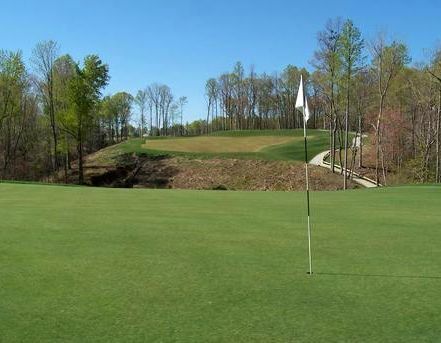 Williamsburg National Golf Club is on the west side of Williamsburg, off Monticello, routed through a residential community, and two 18 hole championship courses, reasonably priced compared to some of the other high end courses in the area. They’ve challenging through the trees, well maintained, and good guest service. There’s were some unique holes, and some back and forth, overall a good experience.The Jamestown is a Nicklaus design of 7,000 yards, .Black 73.1/128. 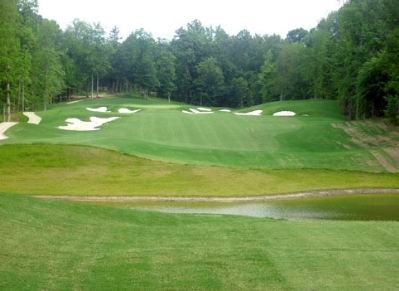 The York Town course also plays to 7,000 yards from the tips, and was designed by Tom Clark. There’s a 20% break in rates if you’re staying at particular hotels in the area, so if you plan to play here a couple of times, check with the golf shop to see which hotels are participating. If I were only playing one course here, it would be the Nicklaus course. Golden Horseshoe Golf Club with two fantastic 18-hole courses as well as its nine-hole, they call it “executive course.” The Gold Course is the old classic stable here, designed by Robert Trent Jones Sr. It’s layout is over rolling hills, with tree lined fairways with water, and forced carries across ravines in play, tight course with a lot of elevation change, playing to large sculptured and contoured greens that are fast. The Green Course was designed by Rees Jones, and it is a more traditional resort course with open fairways and mounding, and is a lot easier on your game, on basically the same land as the Gold course. Ford’s Colony is just off the 234 exit of I-64, then west on 199 to Rt 60/Centerville Road, a couple of miles. Three 18 hole championship golf courses here routed through a huge residential community of upscale homes, along with a Marriott timeshare development. There’s a 20% discount is you’re staying at the Marriott, but otherwise the rates aren’t too high for the area. The courses, Marsh Hawk, Black Heath, and Blue Heron are all somewhat similar in the layout, tree lined fairways, marsh, lake, and creek bordered, well bunkered and at different levels of challenge. The most picturesque golf course at Ford’s Colony presents many challenges to golfers of all abilities with water coming into play on 13 holes, a total of 9 doglegs and bunkers guarding every green. Elevations changes and the prevailing winds make this course play a lot longer than the 6,621 yards stated on the scorecard. The best example of Blackheath’s beauty can be found when standing on the 12th tee. You are looking straight down to the green and must carry water the entire way. If you turn to your left, you will look down the 16th fairway and an intimidating tee shot that you will have to hit later in your round. The eighteenth hole, a short par 4 with an island green best describes the challenges found on the Blackheath golf course. Water protects the entire left side of this hole, forcing you to hit an accurate shot to the fairway. Your approach shot is the most intimidating shot at Ford’s Colony, because you are hitting to an undulating green that is completely surrounded by water. Par is a great finish on Blackheath. Blue Heron is a favorite of many of our guests and members with its long and challenging par 3’s, fair and forthright par 4’s and intimidating par 5’s. Blue Heron provides some room for error off of the tee, however makes up for the easy with its well protected greens. Set among Virginia’s dense wetlands, this unique setting is home to many different birds, fish and other aquatic life. The Marsh Hawk provides a very different challenge than our Blue Heron course. Tight tree-lined fairways mean you better bring your “A” game. This par 72 course measures 6,650 yards from the back tees and features undulating greens and the best finishing holes around. Take a journey with us as you play around natural lakes and elevation changes.. Kingsmill, saving the best for last, Kingsmill is a golf resort and upscale residential community, south of Williamsburg on the James River. The River Course is twice as expensive as the Plantation and the Woods course, but it is the PGA Tour course venue, and designed by Pete Dye, a tough, challenging layout in a pristine setting, and always in great shape. The Plantation course is an Arnold Palmer design with some of the same elements as the River course, just not on the River, but water comes into play on at least half the holes. The Woods course was designed by Curtis Strange and Tom Clark and is a classic parkland style with tight tree lined fairways, and is the newest, and maybe the toughest of the three. 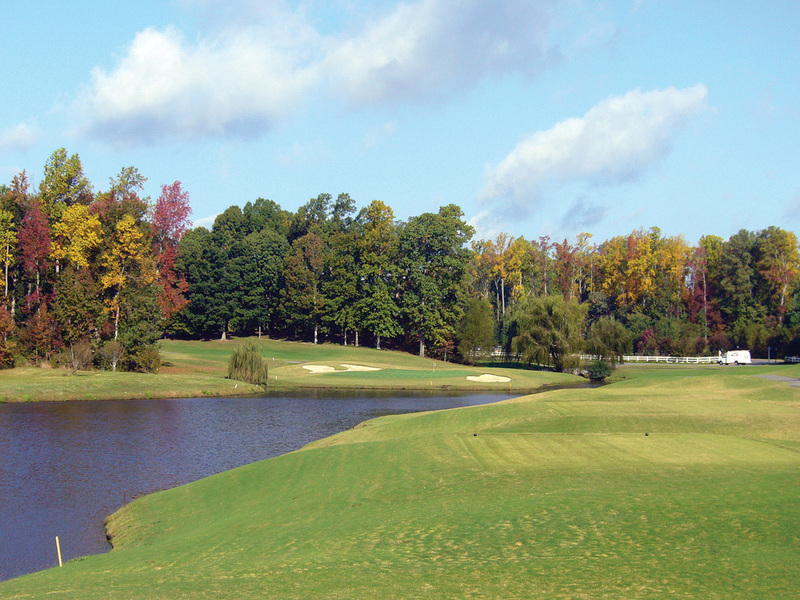 Two Rivers Country Club @ Governors Land– WILLIAMSBURG’S ONLY PRIVATE GOLF COMMUNITY Designed by three-time Golf Architect of the year, Tom Fazio, Two Rivers golf course is the only private community golf club in Williamsburg, Virginia. Sculpted to take advantage of the natural contours and beauty of the area, the golf course at Two Rivers is the perfect blend of earth, water, forest and lush greens. Year Round Golf. Two River’s golf course offers an enjoyable challenge for golfers of every level of skill as you play through shady hardwood forests and tidal marshlands, past crystal lakes, across open expanses of nature and along 1000 yards of dramatic river frontage facing due west. Rated as one of Virginia’s Top 10 courses by Golf Digest, every hole is distinctly different and offers some of the most breathtaking scenery imaginable. Kiln Creek is in Newport News, off I-64 at the VA 171 exit, just south of the Newport News Airport. It’s a resort with accommodations, a little tired and dated from the looks of it, but you don’t have to stay there to play the golf course. It was was designed by Tom Clark in the late 1980′s, routed through an established residential neighborhood with houses lining the holes, a good amount of water in play, and well bunkered. The Colonial Golf Club CLOSED is located just north of Williamsburg, and was designed by Lester George and Robert Wrenn. Bentgrass greens, Bermuda everywhere else. Reasonably priced parkland style course. Mostly forgiving off the tee, wetlands cause a few forced carries and border some of the layout, doglegs throughout, nice large greens with light undulations and good speed, A couple of lakes along the fairways, and not much in the way of bunkers, just a fun course, in a quiet natural setting.